Due to adverse weather condition, there won't be Sunday School class today on 10th November 2018.Headmaster. Download Forms Rev. Manu Varghese, Faculty at Dharmajyoti Vidyapeeth, Haryana is the leader for the Students Conference 2018. 1. English Songs 2. Malayalam Songs 3. Jesus invites you to Come and See, to walk along with him, to enjoy abiding in his warmth, presence and love! When HE graciously calls you, HE sure has something to reveal to you as well. He is waiting for his children to spend time with him through learning the scriptures, singing his praises and much more. This year's conference focuses on building and equipping ourselves to listen to HIS call, laying down all our cares and discovering the real joy and peace one experiences on accepting the call. The conference will be under the effective leadership of Rev. Bibins Mathews, Mar Thoma Youth Centre Bangalore. So here is inviting all of you to the Student's Conference 2013. His Grace The Most Rev. 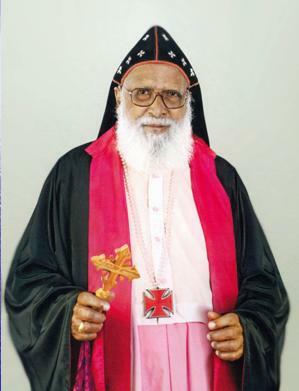 Dr. Philipose Mar Chrysostom Mar Thoma Valiya Metropolitan will be interacting with Sunday school students on 24th Feb 2013, 6.00 pm at UIS auditorium. Kuwait City Mar Thoma Sunday school Christmas Carol service will be held on Friday, 21 Dec, 2012 at Marina Hall from 3.00 pm. Rt. Rev. Dr. Issac Mar Philoxenos Episcopa will be the chief guest.